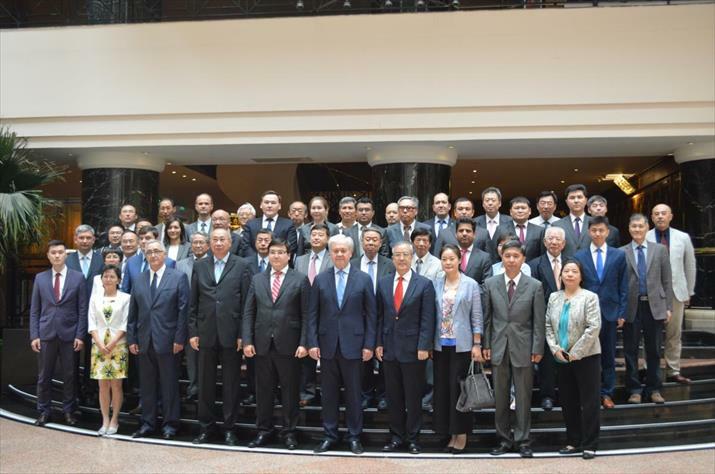 Over thirty senior diplomats and scholars from member states of the Shanghai Cooperation Organization (SCO) gathered at a commemorative seminar in Beijing on September 25, exchanging their ideas and views on the development of the regional organization in the Eurasian continent. This year marks the 10th anniversary of the signing of the Treaty on Long-Term Good-Neighborliness, Friendship and Cooperation of the Member States of the Shanghai Cooperation Organization. 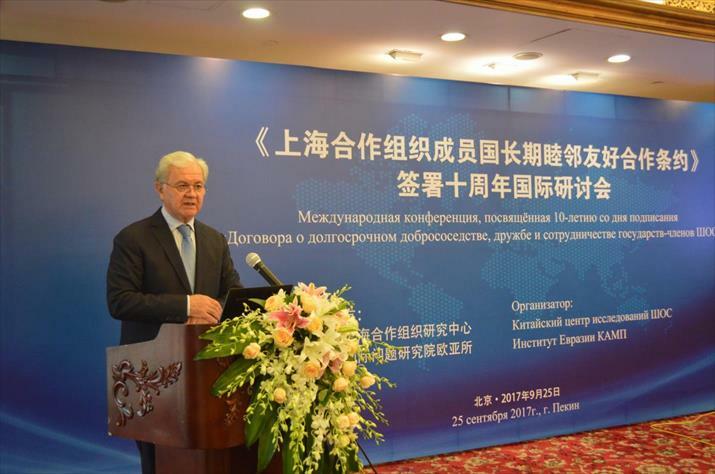 "Over the past 10 years, the SCO has been firmly fulfilling the good-neighborliness treaty and has made remarkable achievements in shaping good neighbor relations between member states," Su Ge, President of the China Institute of International Studies (CIIS) said at the seminar. Based on the close cooperation, the SCO has become a pivotal regional group in maintaining peace and stability in Central Asia, Su said. "The good-neighborliness treaty is an important legal document that cements all SCO members together," SCO Secretary-General Rashid Alimov said in his speech at the meeting. "The treaty adheres to the principles of respecting each other's territorial sovereignty, equal treatment and mutual noninterference, which reflect the will of all member states," Alimov said. "Under the framework of the treaty, the SCO member states have reached broad cooperation on security, economy, trade, education and people-to-people exchanges," Alimov said. In the first five-year period since the treaty took effect in 2012, the SCO has reached all its cooperation objectives, Alimov said. "The SCO hopes to play an important role in the Afghanistan issue and make contributions to the peace process in the war-torn country," Alimov added. Despite stable development in the past, the SCO faces a number of challenges, said Zhao Changqing, a researcher at the Development Research Center of the State Council of China. "To continue the good neighborhood and sound cooperation within the organization, the SCO must improve its mechanism to coordinate the complex multilateral relations between the larger number of members." During the Astana Summit this June, the SCO realized its first expansion of membership, as India and Pakistan officially joined the group. "A bilateral dispute between any two members should not hinder the whole organization," Zhao said. "The SCO should play a constructive role in promoting the settlement of bilateral disputes between members," Zhao added. Attendees of the seminar also called on the SCO to deepen cooperation on the Belt and Road Initiative and enhance coordination in world affairs like the Afghanistan issue, the nuclear crisis on the Korean Peninsula, and fighting terrorism. The Treaty on Long-Term Good-Neighborliness, Friendship and Cooperation of the Member States of the Shanghai Cooperation Organization was signed by the leaders of the SCO's six founding members during a summit in Bishkek, capital of Kyrgyzstan, on August 16, 2007.